Observation - Ichneumonidae - Global. 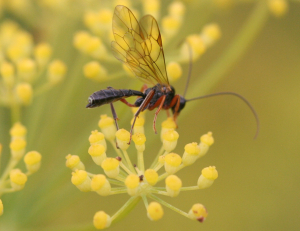 Description: This parasitic wasp seemed to be fascinated by the yellow flowers. This parasitic wasp seemed to be fascinated by the yellow flowers.